(1) Body: crypt theory (ability & disability), assistive technology, functional aesthetics. My first domain, BODY, explores the how materials take shape around the disabled body. The constraints of materials on the body depending on ability or disability of the user. I want to play with perspectives of a garment that cane have flexible accessibility for all types of bodies (disabled or able). Overall, the "body" is the mediating factor that ties in with all forms of technology and design to human-centered ideology. My second domain, MATERIALS, focuses on fashioning for the body using fabrics and "hardware" enhancements. The research focuses on terms “hardware and software” based traditional patternmaking principles / adornment finishes. The terms inspired me to rethink about hardware enhancements for jackets or outwear. I will achieve a greater understanding based on historic patternmaking processes to tie with modern day industrial tools such as 3D printing, DIY electronics, and e-textiles. What would be a “hardware” example for today’s fashion design society? How can we rethink materials to reinvent traditional zippers, buttons, and snaps? In addition, my domain research explores materials used in fashion as a form of labor and manufacturing process with historic emphasis on Karl Marx. (3) Relationship: co-design, pedagogy for technology on the body, designs that are accessible for people of all abilities. My third domain, RELATIONSHIPS, explore co-designand collaborative experiences for a greater understanding of how technology is applied to the body and disabled body. My focus will be on low-end innovative disruption on users with disabilities. 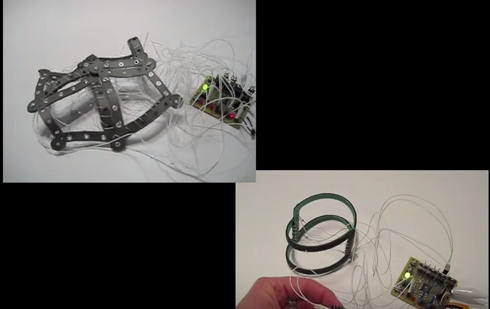 hardware enhancements for garments like electromagnets and the history of hardware enhancements.